If you love yourself, then you don’t need anybody else for your own happiness. This sentence wandered through my head for quite some time. And not because I liked it so much! In fact it caused me bellyache. Not that I had a fundamental problem with myself. I actually like many things about myself and can therefore be generously with my own faults. Still, it somehow threw me off. Look closely, this isn’t you! But if this isn’t me, then… Then I don’t conform with the usual understanding of self-love. And that’s okay! In that very moment this insight hit me really hard and suddenly all heaviness got swallowed up by lightness. But soon this newborn lightness got haunted by the next question: If this definition of self-love doesn’t feel right to me, then which is coherent with my inner core? Not only as prospective psychologist but also as a feeling human being I believe that in extremes of any kind there rarely lies truth. And the same goes for the topic of self-love. For me, personally, it is no option to cultivate the thoughts of total independence and absolute inner strength further because that is what I see more than enough already in our modern society. I see enough facades and capped emotions. Instead it shows clearly that it isn’t only inner strength that counts if one wants to go his own way in life. Equally important is the antagonist: Giving off. Having the courage to be vulnerable instead of mocking oneself and others with fake strength and independence – this is also a form of self-love. The feeling that always threw me off, was thus the neglect of the bipolar nature of life. The natural balance that requires both Ying and Yang. Because wherever the scale lashes out to one side, there has to arise a counterbalance. This means that self-love can only work if we also have the possibility to feel safe, protected and loved around other beings. Because not every day is designed to bring out the strong and zen-kind-of side in you. Some days it is just necessary to give yourself over to somebody else. And that is perfectly fine. 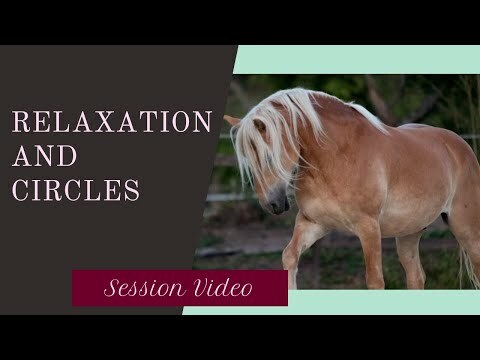 This insight helped me also when being with horses. Because sometimes it just doesn’t feel right to act like the unshakeable leader when you actually feel like leaning on a strong horsey shoulder and just enjoy the protection and the warm breath this place brings for you. Often it takes off the pressure when I remember myself that I am allowed to give things off sometimes. That Nathan also is allowed to bear responsibility. Because I am not alone with all tasks we have to get done. We can do it together. And if everybody carries a bit of the backpack, it isn’t too heavy for anyone. So I want to encourage you to find your very own definition for self-love. Try out and then feel into yourself. And listen to that voice.